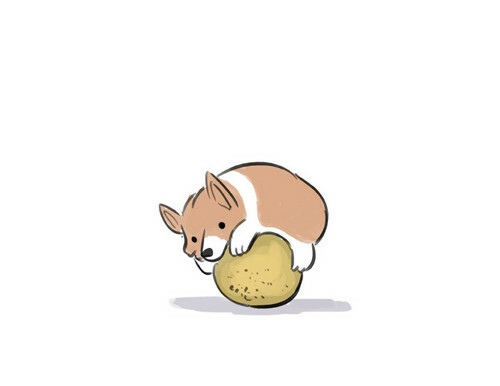 Corgi Hugging a Cantaloupe. Cute!. Wallpaper and background images in the Hunde club tagged: dog corgi cartoon.